• Improved Safety, Privacy, Scratch Resistance, and More! Window tint protects from UVA and UVB rays that can cause damage to your skin as well as the interior of your car. A recent study found that more than 50% of all skin cancer cases in the U.S. appear on the left side of the body. In other words, the side of your body exposed to the sun while you drive is getting fried! Quality tinting materials have the ability to eliminate up to 99% of harmful rays before they can start causing damage. Window tint isn’t just your skin and upholstery’s best friend, it’s your security system’s as well. If a thief can’t see what’s inside your car then they’re a lot less likely to go after it. 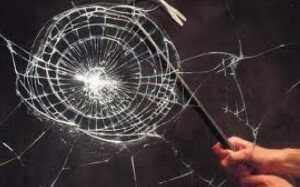 Plus, some window film can make your windows strong enough to make it difficult for even a baseball bat to break! In fact, the right window film tint can also help prevent window splinter/shatter if you’re in an accident which can help protect both you and your passengers. This same quality also provides your windows with a scratch resistance coating that will keep your car looking smooth and increase the lifespan of your windows by protecting them from everyday use. Adding window tint to your car is one of the most affordable ways to protect the interior of your car. The fact that it also makes your car look awesome is just a perk! Don’t take any chances on shoddy installation though — it’s important to go to a window tint professional (like us!) to make sure you get the most precise results and the latest info about state and local window tint laws.